I remember that 27th April 1968 was an overcast windy day at Silverstone. This is reflected in my three paintings. 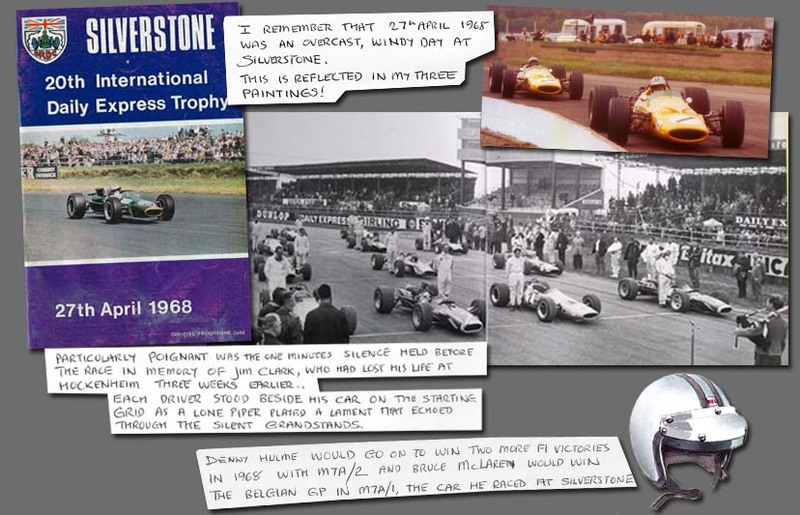 Denny Hulme would go on to win two more F1 victories in 1968 with M7A/2 and Bruce McLaren would win the Belgian GP in M7A/1, the car he raced at Silverstone.